The latest June numbers were recently released by Nielsen. Distilled spirits dollar sales were up by 2.8 percent in the most recent 4 week period, just below the 3.8 percent growth seen over the last 3 months. In the brown spirits, bourbon, Canadian whiskey and Irish whiskey outperformed the total category, while in the white spirits only tequila outperformed the total category. 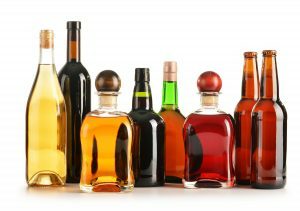 Distilled spirits volumes were up 1.6 percent, also just slightly below the expected growth rate of 3.8 percent seen over the last 3 months. Volumes were up 1.6 percent. Brown spirits remained strong with Irish whiskey showing the greatest volume growth of 12 percent. Tequila, a white spirit, showed volume growth of 6.6 percent. A few categories ended the month slightly down, sales for rum, gin and blended whiskey all slightly underperformed the total category. Overall the spirits industry remains a strong category in both in the U.S. and globally and continues to stand up well to the recent consolidation trend.